Budget rules of thumb are easier to understand than ROI. These 10 budget rules of thumb will help you succeed. It’s the most wonderful time of year: budget time. Here are 10 budget rules of thumb I developed as a manager, director and vice president. Plus, you’ll find insights on what marketers are doing with increases in content marketing budgets. 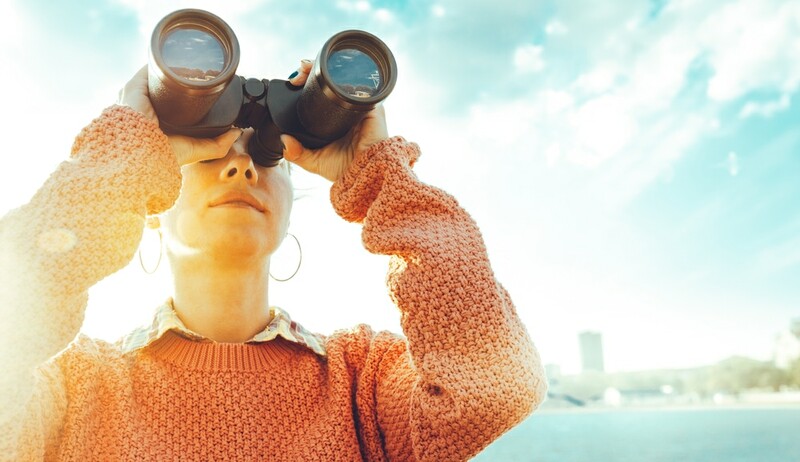 Most consumer marketers expect their content marketing budget to increase in 2019, says the Content Marketing Institute/Marketing Profs 2019 research. More than half of B2C marketers expect an increase in the 2019 content marketing budget. And half of B2B marketers expect a 2019 budget increase. 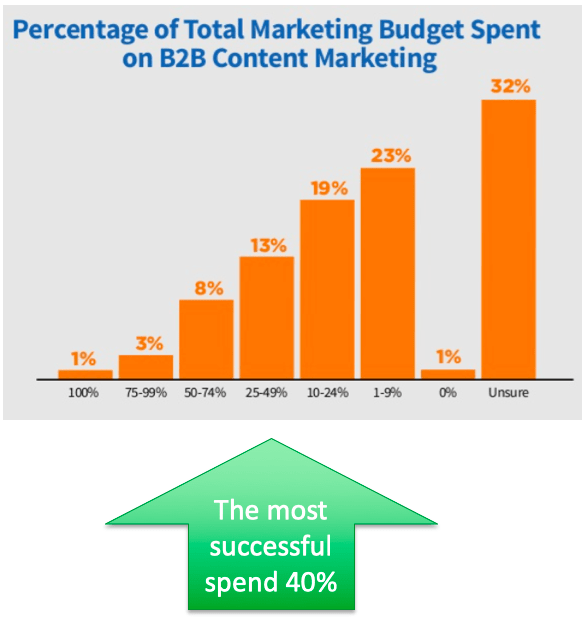 More than half of the most successful content marketers expect a budget increase this year. Half of B2B marketers expect a content marketing duet increase in 2019, compared with 55% of the most successful marketers. 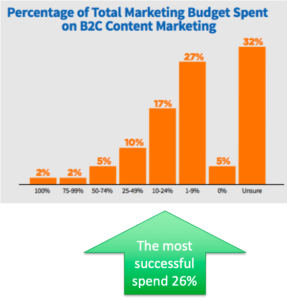 Where will marketers spend added budget for content marketing? 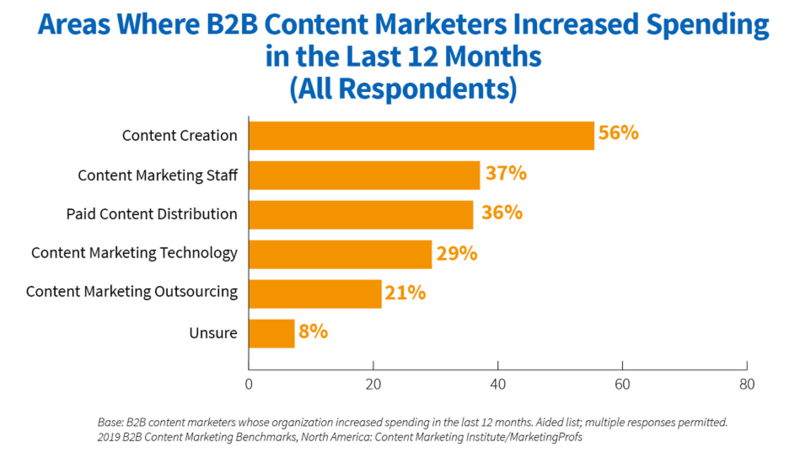 Spending increases for B2B marketers went to content creation, content staff and paid distribution. The CMI/Marketing Profs research showed a slightly different focus in B2C content marketing: content creation, paid content distribution, and content marketing staff. 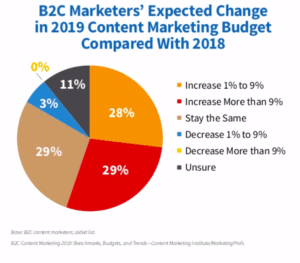 Here’s where B2C content marketers are focusing budget additions: content creation, paid distribution and content marketing staff. Are you struggling to get the budget you need for content marketing? I’ll offer 10 budget rules of thumb, designed to help you get the resources you need to succeed. Assume that you will get zero budget for the coming year. Yeah, I know that sounds harsh. For example, Walgreens is one company that uses zero-based budgeting, says The Wall Street Journal. If your company gets a new CFO, hits a market downturn or gets acquired, next year’s Marketing budget is likely to start at zero anyhow. It’s much better to do a zero-based budget exercise before anyone tells you to. Which programs, events and projects are so compelling that your CEO and CFO would find the funds to do them? Which Marketing work would Sales be willing to pay for from its budget? Which Marketing work would R&D or product development happily fund, if they knew the Marketing budget was zero? New product launches and continuing support for growth products. Bake these essential projects into your first-draft budget. They’re going to happen anyway. That’s the first budget rule of thumb. A budget rule of thumb: reach an understanding with your CFO — how much revenue must each Marketing dollar produce? That number varies, depending on your company, its industry and economic conditions. 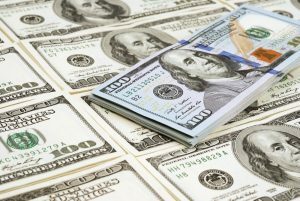 But asking your CFO this question can establish a useful budget rule of thumb and a much better understanding of Marketing’s role in the Finance Department. In several companies where I worked, each $1 invested in Marketing needed to bring back $3 in revenue. After you identify the essential projects, prioritize Marketing programs according to how much revenue you expect each to bring in. It’s easiest to do this with new product launches. It’s wise to apply the same discipline across Marketing. “What’s the return on investment (ROI) on content marketing?” is a question that marketers frequently get asked. But ROI is the wrong question. Here’s why: return on marketing investment (ROMI) is the right question. Better to ask, what’s the ROMI for a business unit’s overall marketing program, or for a specific product line’s marketing program. These 10 budget rules of thumb help you secure the most budget and get the most results from it. 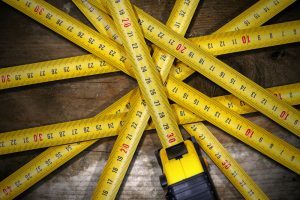 The point: Measure marketing systems and programs, not one-off projects. It’s the cumulative effect of the marketing system that matters most. Do less because it isn’t necessary to do as much? Stop doing the project altogether? For example, as a manager with a million-dollar budget for a Fortune 50 company’s annual report, I directed an outside graphic designer to figure out how to save 20%. Almost a year later, after lots of huffing and puffing, our savings totaled zero. Ouch! The next year, I hired a new designer with the same instruction: save 20%. Our new designer understood how to save by making a few small moves – specifying lighter paper, bidding the printing more competitively, and watching every penny. Both years’ reports came out great. Virtually no one noticed the subtle differences between the more expensive report and the less expensive annual report. Who did notice the difference? Our CEO. He sent a hand-written note to congratulate me on saving $200,000, a note I treasure to this day. Why did he recognize that savings? Because no one had told me or asked me to save 20% on the annual report. I just wanted to see if it could be done without affecting overall quality. Yes, it could. Don’t wait for someone to force you to cut your budget. Instead, ask: Where are your opportunities to save without affecting quality? Companies do most marketing programs because … they’ve always done them. Inertia rules the budget. The status quo is king. 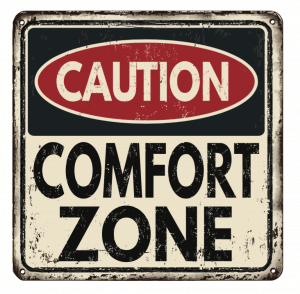 The Marketing budget dwells in the company’s comfort zone. 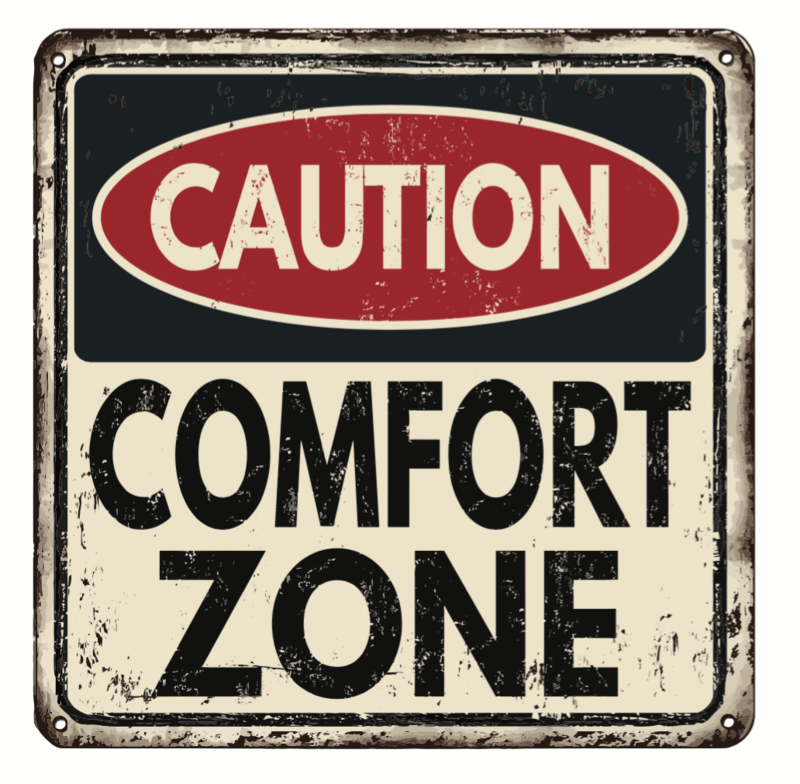 Budget rule of thumb: If the company has gotten comfortable with a status quo Marketing budget, inertia rules. Challenge the status quo. That’s why it can be so hard to get budget for new initiatives such as content marketing or rebranding. Context: $1 million was small change to a big business unit, especially compared with its advertising budget. But $1 million was big money to my team. We knew we could deliver more for less because after 3 meetings with the PR agency, they could not show any value they created. Zip. Zero. Nada. What’s worse: they’d been getting away with this scam for years. We fired the agency and moved their work in-house. And we got more news media coverage than before with our existing staff. Careful: If you don’t monitor closely enough and don’t hold your agencies’ feet to the fire, you are asking to get ripped off. Budget rule of thumb: apply all-in analytics to find out what’s working and what’s not. 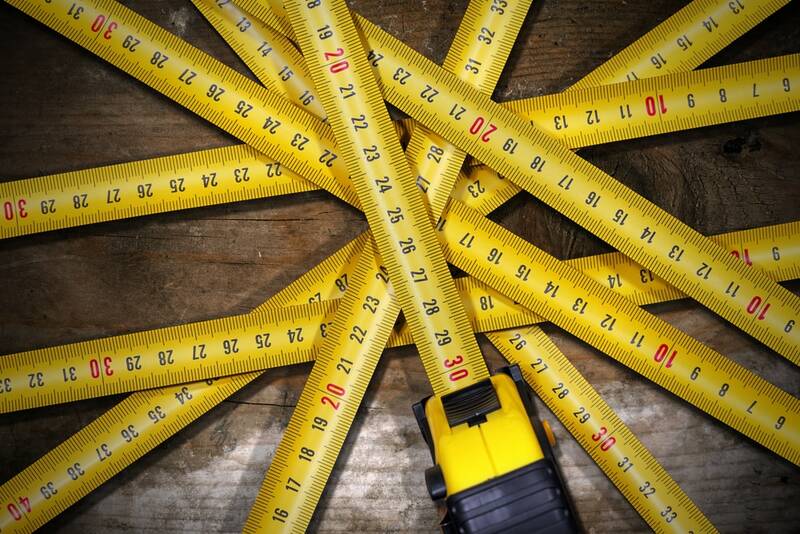 To measure what’s working and what’s not, apply an all-in analytics approach. Focus on which work contributes revenue and customers, then trace that revenue back to the marketing systems that created it. Attribution of results to individual marketing projects is hard, sometimes impossible. For example, consider that 2/3rds of social sharing is dark sharing, where shares are untraceable and untrackable. 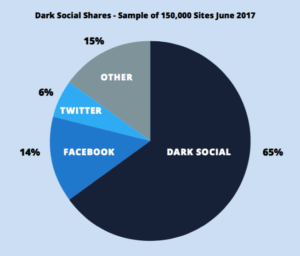 Yet dark shares reach customers and have impact. Some results of marketing are invisible, such as the 2/3rds of social shares that are dark shares. Attributing results to marketing programs and systems is becoming easier with artificial intelligence (AI), but it still has a long way to go. Many marketers and internal clients put together a budget that assumes people are “free,” or a sunk cost that will be spent in any case. If your company has layoffs, merges with another company, or gets acquired, a CFO will quickly teach you to appreciate the cost of your people. Include the cost of your people’s time in project estimates. Why? Because your team is not an unlimited free resource, which can take on any assignment someone dreams up. That’s where most bad, wasteful marketing comes from – the mistaken impression that the Marketing staff is free. As Ann Handley cautions, Marketing can’t be treated like order-takers working behind a deli counter. In one company, we calculated our team’s fully-loaded average hourly rate: about $200 an hour (including compensation, benefits, office space and equipment). If the company needs expertise that we lack internally, make sure there’s money in the budget to rent an expert. If you can outsource work for less, do so. If you can insource work for less, do so. Following this budget rule of thumb made managing the budget everyone’s job, as it should be. Too often, Marketing budgets are hamstrung by the short-term needs of public companies that report quarterly. Budget rule of thumb: While companies are driven by short-term results, Marketing must take the long view. If all a company wants to do is make its numbers next quarter, no matter what, it avoids making long-term investments to build brands or create long-lived content marketing assets. Make every Marketing budget decision with an eye to the long term. I learned that budget rule of thumb the hard way, over 15 years as a vice president. If my decision time-frames got too short-sighted, it hurt our brand and our company’s future. Invest in long-term assets first. Think about assets that take time to build, such as brand and content, in terms of years, not quarters or months – the same way you’d think about building a house. Invest in systems that connect the dots from marketing spend to revenues. You need to know what’s working and have the evidence to prove it to others. Recognize valuable assets that others might take for granted. How could you increase value by taking a different approach to the same asset? For example, one of my companies produced a customer magazine for 25 years. Over that time, the company built up a fantastic subscriber list. But the magazine was a boring rehash of product brochures, issued quarterly. What the magazine needed was a shift from company-centric product marketing to customer-centric content marketing. So we hired freelance journalists from the best industry trade publications to write our magazine. That shift helped the magazine hit its stride and reach its potential. Assume things will go wrong during projects. Because they almost always do. Budget an extra 10% or 15% in contingency, so your project doesn’t go over budget. Bonus: If, in the end, you don’t need that money for a project, reinvest it in learning and experiments. Because opportunities will come along too. Training – Marketing is a field that moves so fast, your team needs to learn new things every year. No matter how small your budget, never cut training – because smart, educated people will get your more results from any size budget. Experimentation – Innovation is everyone’s job in marketing. 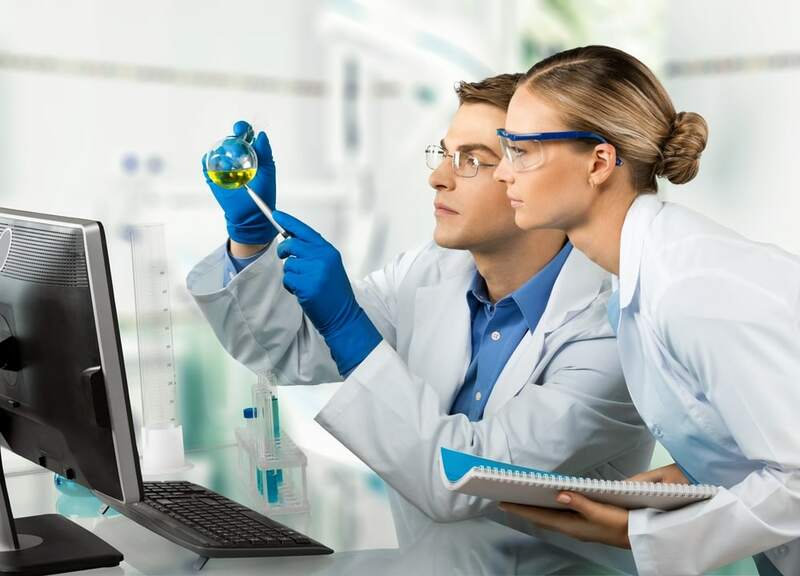 Set aside 10% to 15% of your annual budget to perform experiments, large and small. Here are ideas on how to create a test and learn environment. Budget rule of thumb: make sure there’s money to experiment with. It’s the only way to achieve a breakthrough. Sales has to meet quotas. How about a revenue quota for Marketing? “$1 million,” I said, pulling a number out of the air. “$1 million this year,” he said. Gulp. Tough to do when our average sales cycle was 12 to 24 months. Then we hired a manager, implemented marketing automation, identified products with a shorter sales cycle, and beat our quota. In fact, this program generated $2 million the first year, and $3 million the second year – versus our quota of $1 million. Maybe you see a quota for Marketing as heresy. I see it as a budget rule of thumb – a way to increase Marketing’s budget over time by demonstrating our revenue contribution. Marketing is part of the revenue department. Shouldn’t Marketing produce revenue? Do this step last: Consider how other marketers are spending their budgets. For example, the 2018 Content Marketing Institute/Marketing Profs study shows that the most successful B2B marketers are putting 40% of their budgets into content marketing. After you take the other 9 steps, then consider how other marketers are budgeting. The most successful B2C marketers are putting 26% of their budgets into content marketing. How other marketers budget matters — but not too much. Budget rule of thumb: your customers and business needs come first. Should your budget look just like theirs? 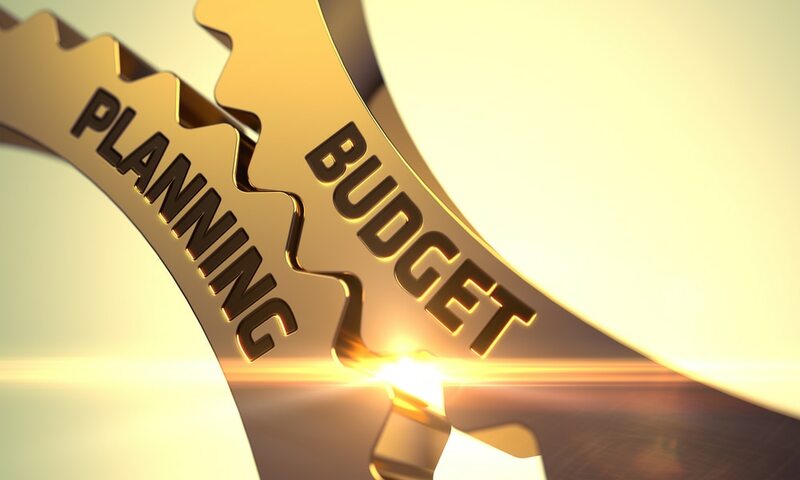 This budget is an average of what everyone does, but what your company needs to accomplish in Marketing may not be achievable by being average. Place the needs of your customers, marketplace and company before any average budget amount. Use this budget rule of thumb: look at other companies’ spending last. Not first! Reach an understanding with your CFO. Find out what’s working and what’s not. Include staff costs in project budgets. Build contingencies into project budgets. 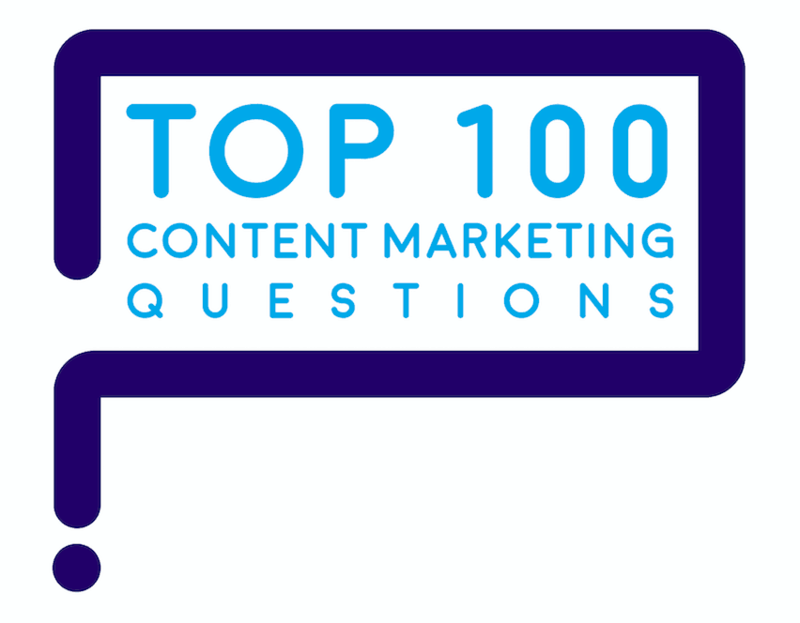 Get the answers to marketers’ top 100 questions about content marketing. 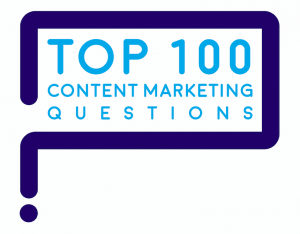 “How do you determine budget?” is one of marketers’ Top 100 Questions about content marketing. Here are the answers. 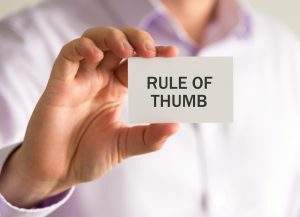 Content marketing: Don’t follow rules. Make them!